Both Sam and Jeremy arrive at Lang Downs broken and hurting - as pretty much everyone does. Slowly and carefully, they find ways to belong, first to the station and then to each other. Coming after Chris and Jesse’s story, this is the story of two slightly older men making fresh starts. Sam is going through a painful divorce and Jeremy has been kicked off of his own family’s station by his homophobic brother. These men are jaded, cautious and guarded. Neither man is fully out and both are pretty skeptical about relationships. So this is a very different romance. A slow romance. A real romance. I think this third book is where the series starts to become something really special. 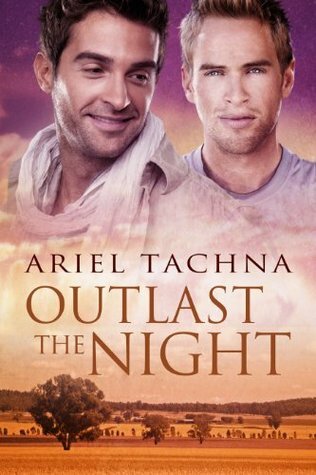 Ariel Tachna has slowly built up the Lang Downs community until the people who live on the sheep station are beloved characters. The author doesn’t leave the couples from previous books, she just incorporates new characters into the ever-expanding community. I loved watching Caine and Macklin’s relationship develop and mature in this story - and I loved how other characters had grown. The homophobic Neil from the first story now fiercely defends Caine and Macklin’s relationship to newcomers. This is one of my favourite series, and the books just get better as the series progresses. New readers need to start at the beginning and enjoy the stories as they become more complex and the cast of characters grows and matures.